Sunday, September 28 St. Peter’s Church – FREE! 3pm Panel discussion on Brass Music in the 21st Century. Moderator: Richard Kessler, Dean Mannes College The New School for Music.Panelists: Raymond Mase, Dave Douglas, Stephanie Richards, Riley Mulherkar, Igmar Thomas. FONT honors Raymond Mase for over 40 years of excellence in brass performance and education. Trumpeter Raymond Mase has distinguished himself as soloist, chamber artist, orchestral player, and clinician. 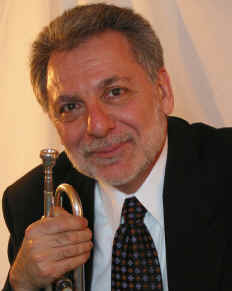 As a member of the American Brass Quintet since 1973, he has performed worldwide, premiered over one hundred new brass works, appeared with the quintet on over thirty recordings, and contributed countless editions of 16th, 17th, and 19th century brass music to the ABQ library and their acclaimed recordings. In addition to his contributions to the brass field as ABQ trumpeter, he is also a founding member of the New York Cornet and Sacbut Ensemble, a group specializing in the performance of early music on period instruments, and the well-known large brass ensemble, the Summit Brass.